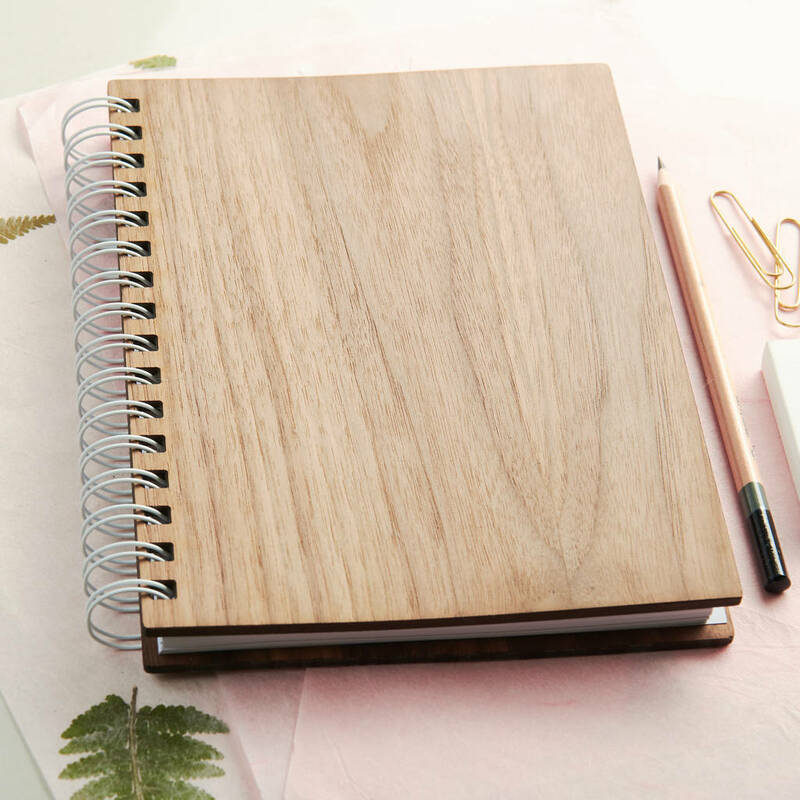 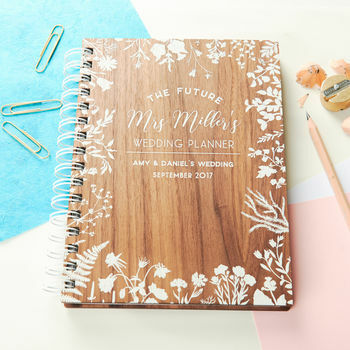 Keep all of your wedding dreams, plans and wishes together in this beautiful personalised walnut wedding notebook. 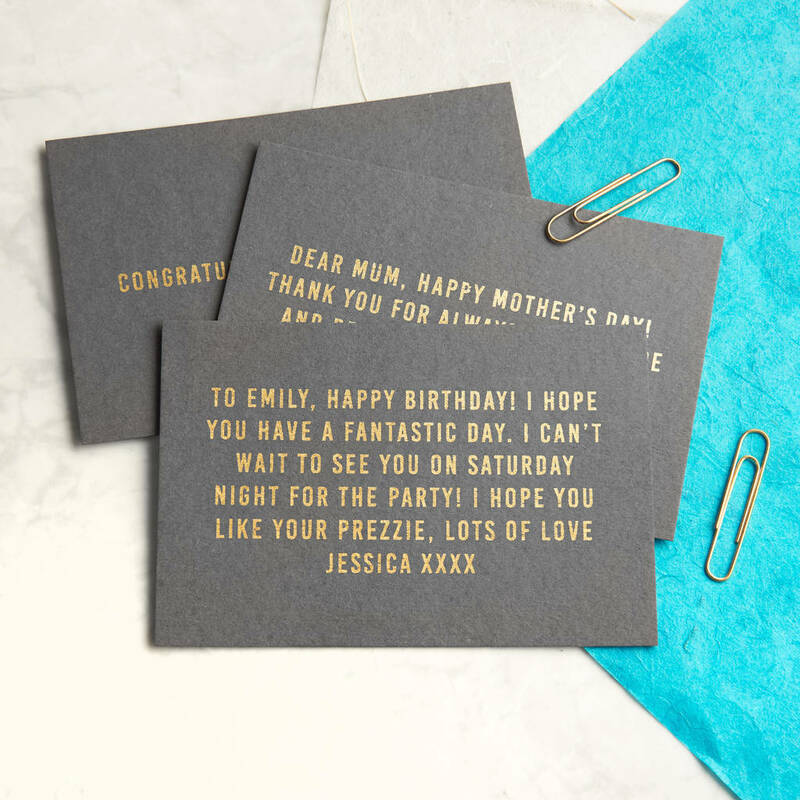 Personalise the cover with a name and two lines of personalised text at the bottom. 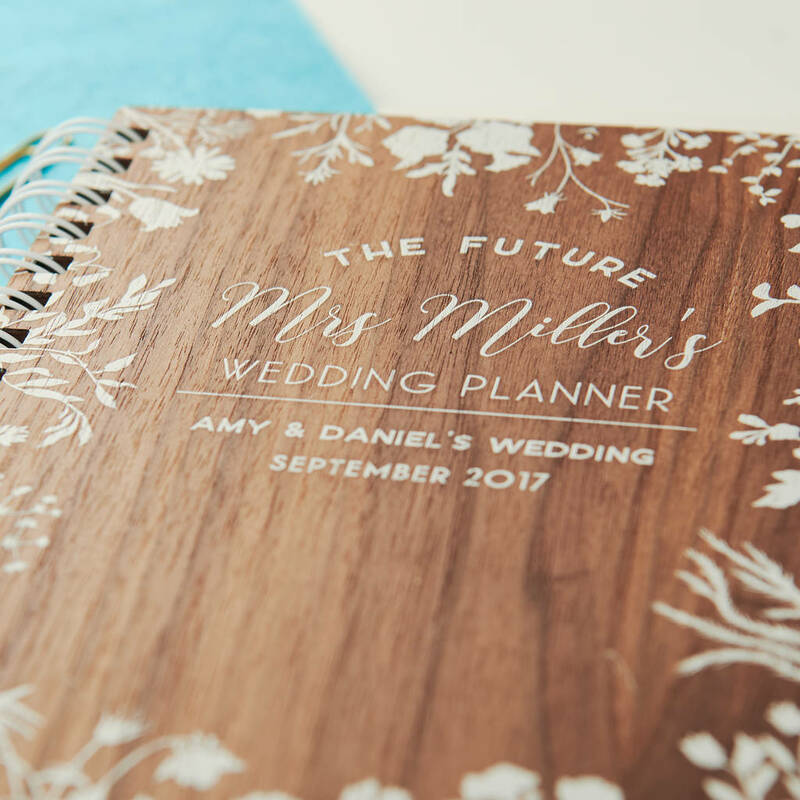 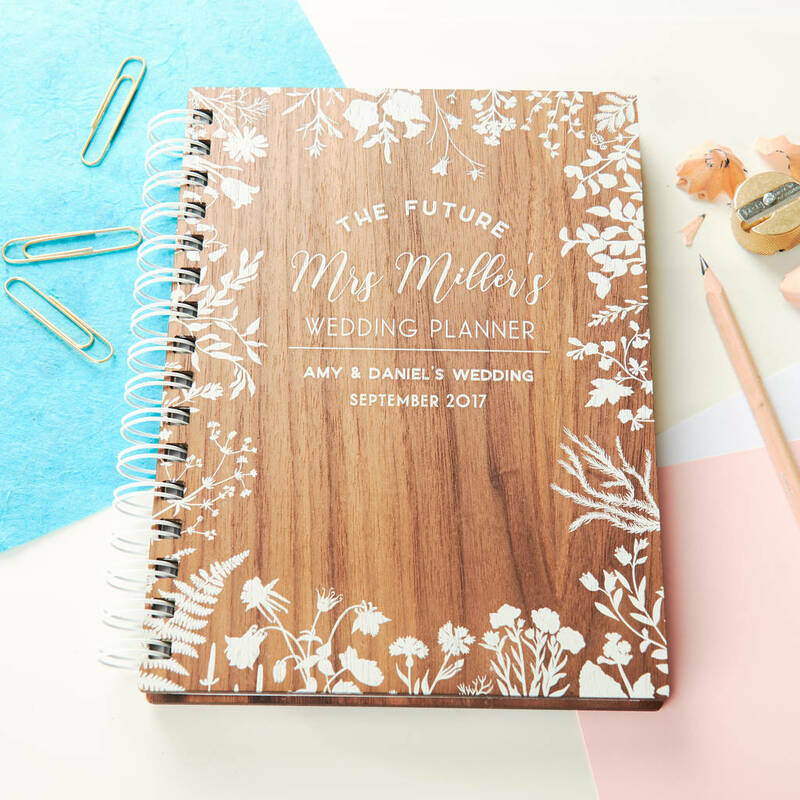 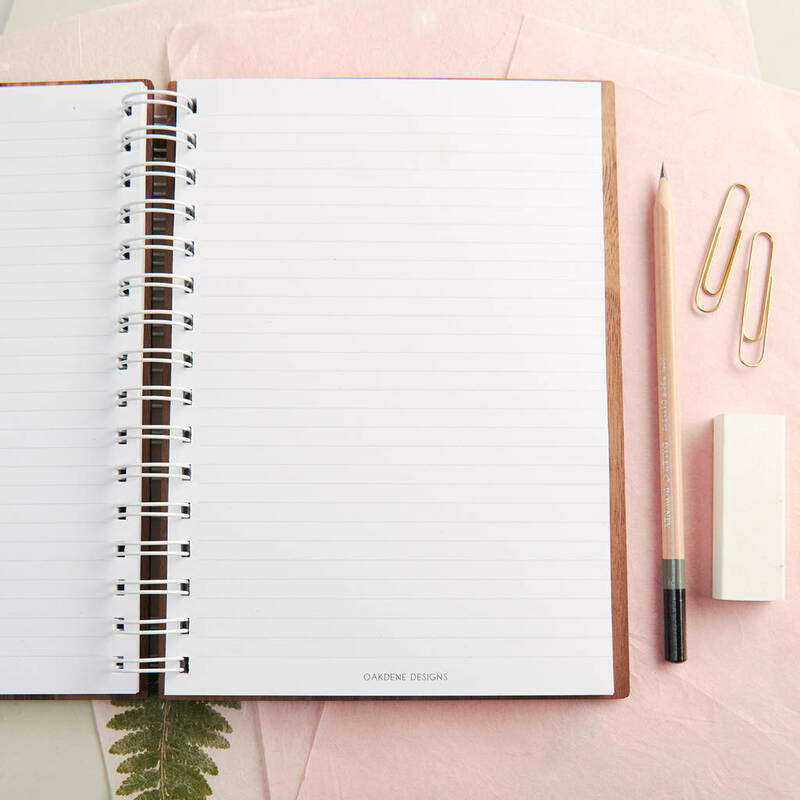 This personalised and hand bound wedding planner makes the perfect engagement present.